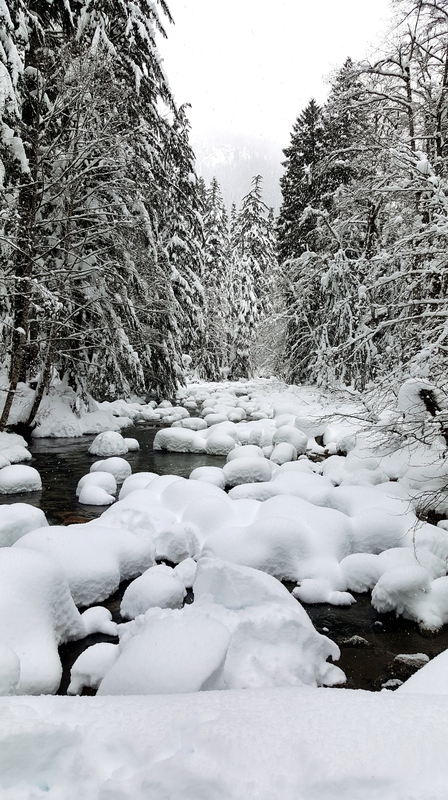 Recently, Mr Smith and I hiked the winter-wonderland trail to Franklin Falls. We wore our microspikes (extremely recommended!) and enjoyed all the beautiful snowy scenery on the trail which culminates at a beautiful icy waterfall. 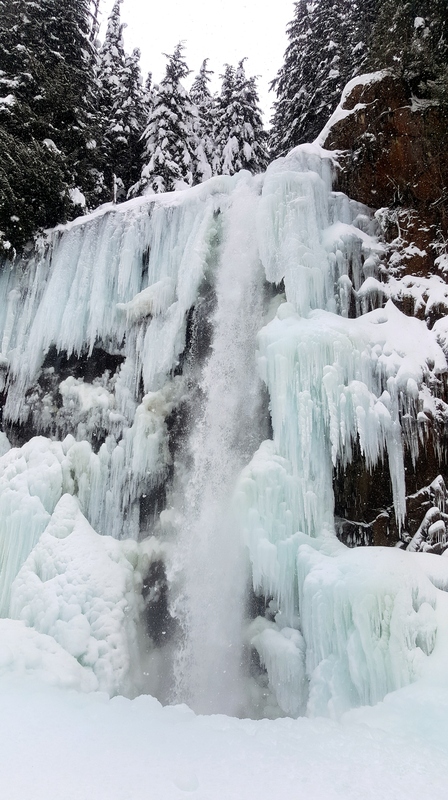 The Franklin Falls Hike is one of our favorite wintertime activities in the Pacific Northwest. 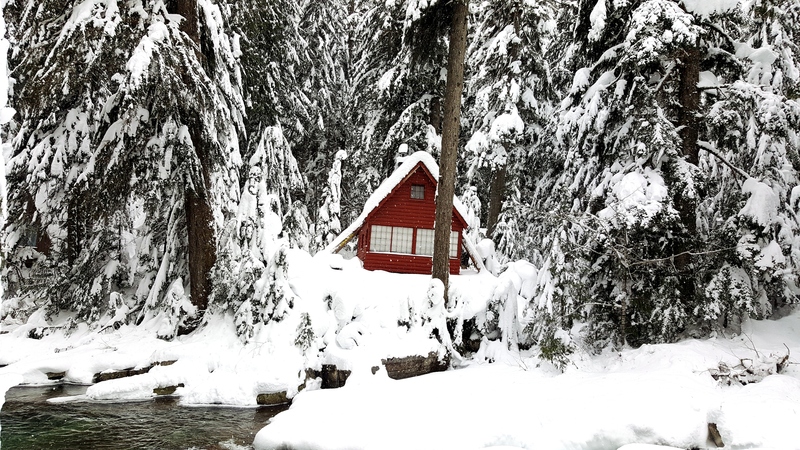 Below are 9 other favorite things to do to fully enjoy winter in the PacWest. Click the blue links to read more about each activity. 2. Start the year off with a freezing cold swim! That’s right, it’s almost time for the annual Polar Bear Plunge. There are several options for this chilly dip in Seattle. Our favorite is at Golden Gardens Park in Ballard. 3. 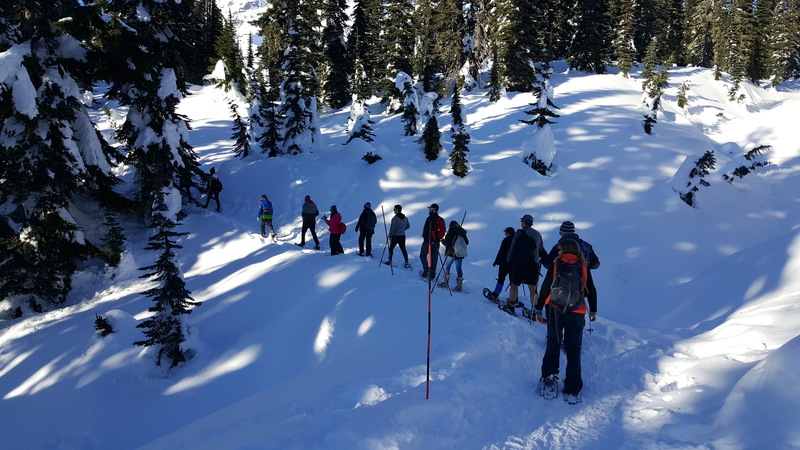 Take a ranger-led Snowshoe Hike at Mt. Rainier. What better place to view snowy mountains than at the mother of all mountains, Mt. Rainier. 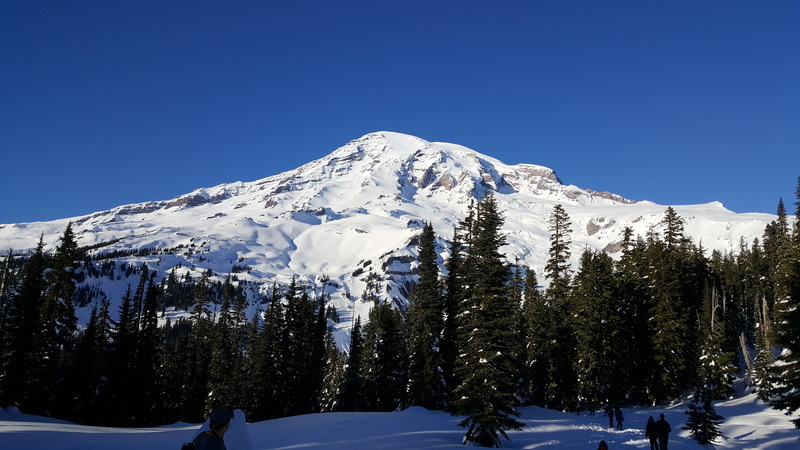 Last year, we went on a ranger-led snowshoe trek at Paradise. 4. Go Fat-Biking in Winthrop. 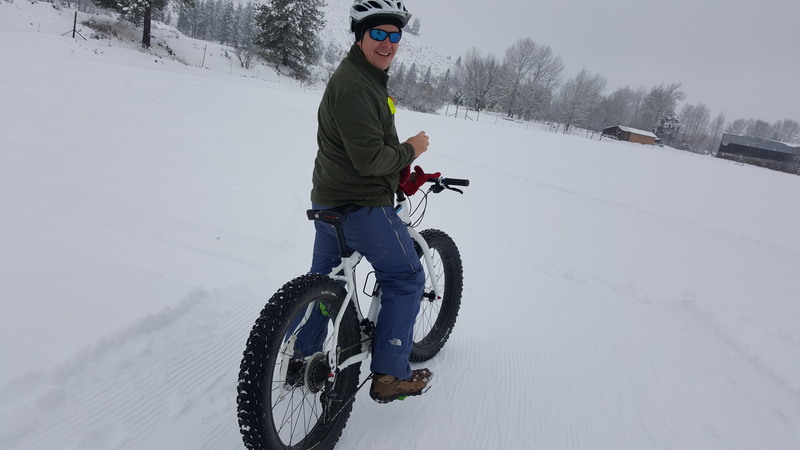 Fat-biking is a fun new sport in which you ride a bicycle outfitted with larger tires that have a better grip in the snow. There are few places that offer fat-bike rentals (because you need a lot of snow to really enjoy it). We had a great time fat-biking in Winthrop, Washington during our 48 Hours in Winthrop. 5. Hike up to Lake Serene. This trail is gorgeous in the summer, but truly spectacular in the winter. 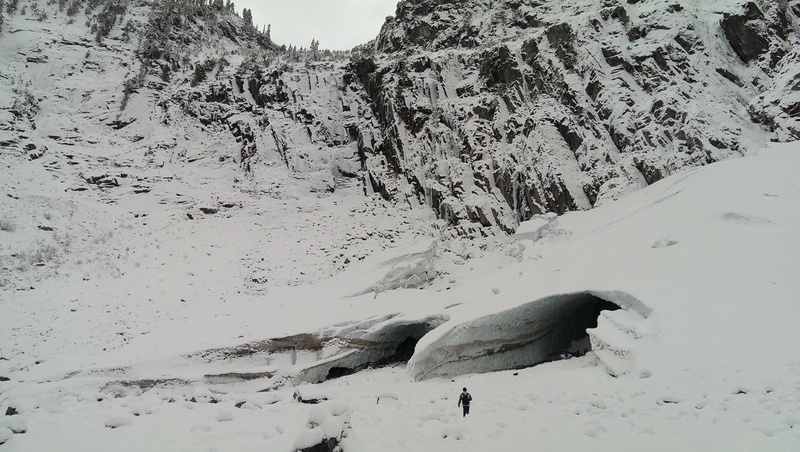 If the lake is frozen you can hike across it to view some ice caves. 6. View Eagles in abundance on the Skagit River. 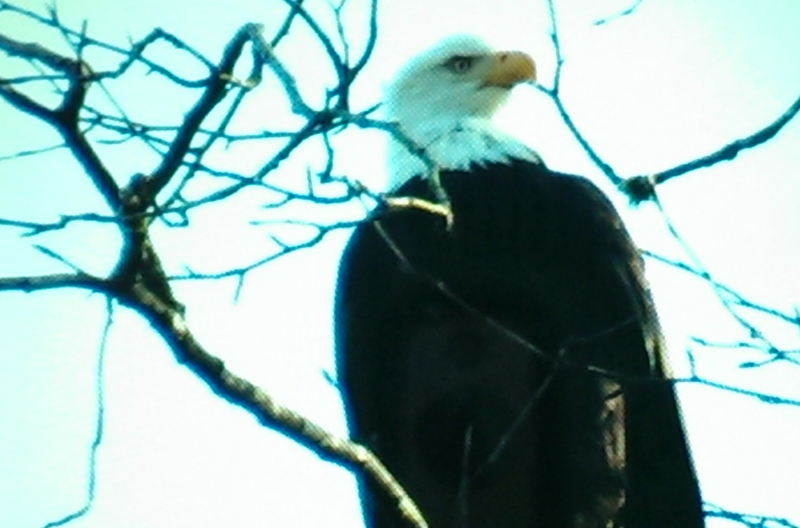 Everyone should take a river float on the Skagit River to view eagles at least once in their life. It is really cold so wear lots of layers, but the view of these majestic raptors are worth it. 7. 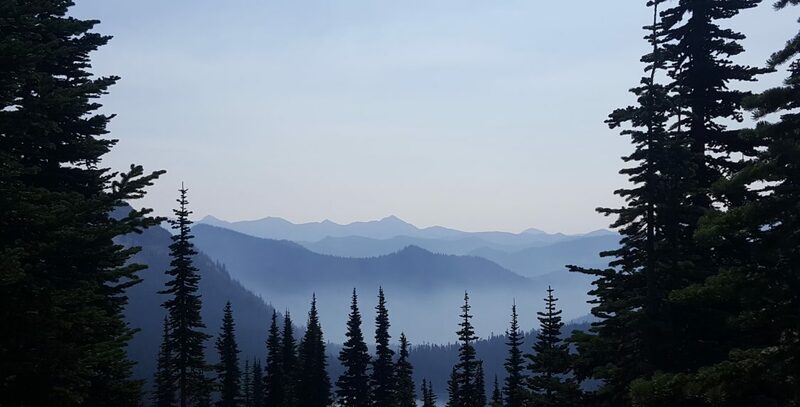 Hike the Iron Goat Loop. The Iron Goat Loop is a wonderful interpretive trail along US Highway 2, running along a former railroad track. 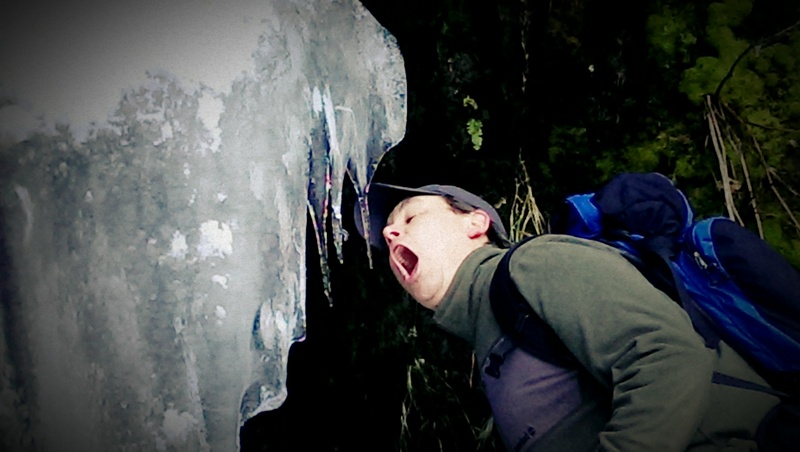 You can learn all about the history of this railroad while viewing stunning icicles. This is in an avalanche area, so be sure to call the avalanche hotline to check weather conditions before you go. and if snow is prevalent enough, you could ski all the way in to Roslyn to the Brick for lunch! 10. 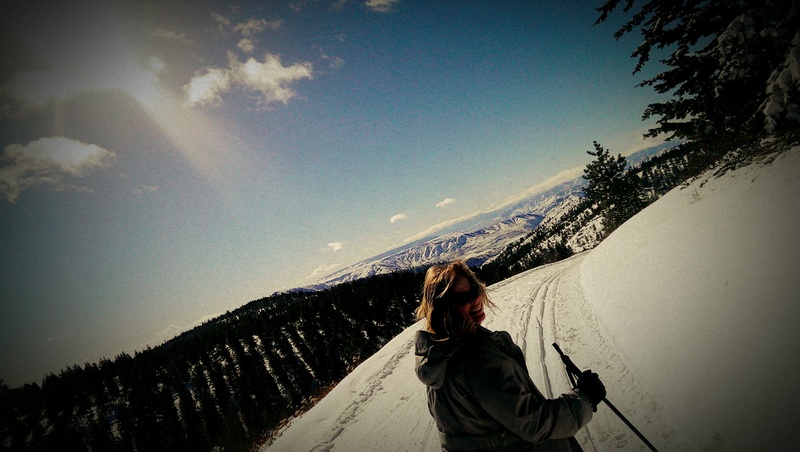 Cross-country ski at Echo Ridge near Lake Chelan. 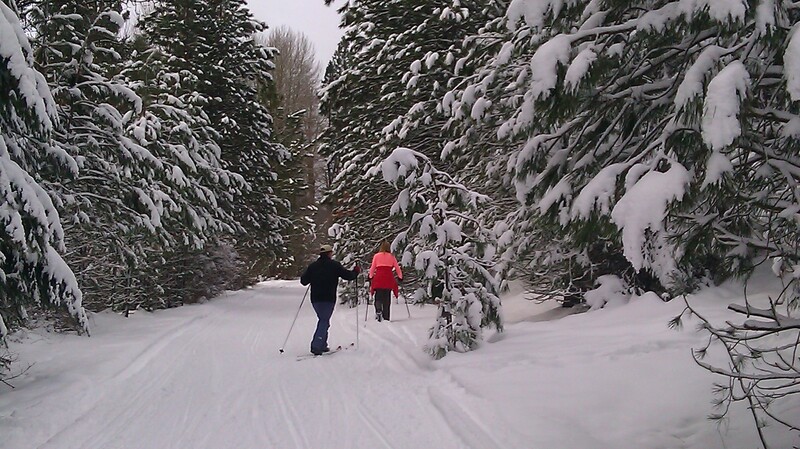 Enjoy some of the best cross-country skiing in the country on the 25 miles of Nordic trails at Echo Ridge near Lake Chelan. We enjoyed skiing, wine and chocolate during our 48 Hours in Lake Chelan. We hope you get out this winter and enjoy some of these snowy pastimes. What are some of your favorite wintertime activities? Those all look really fun! Never heard of Robber Jays before! They certainly live up to their name. 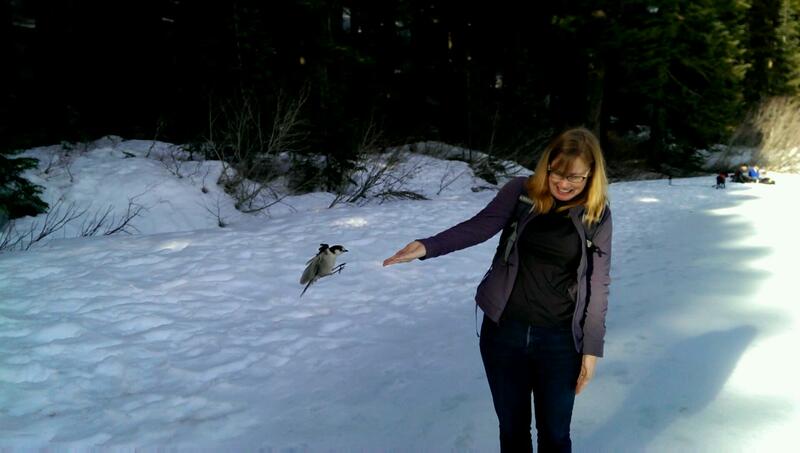 They will rob you of any food in site. Ooo pinning this. Can’t wait to try these, particularly Franklin Falls! I saw that little house on PNW Life on Instagram and was wondering where that cuteness was. Now I know! Thanks @emeraldpalate. Hope you get to try a few of these activities this winter. Enjoy!